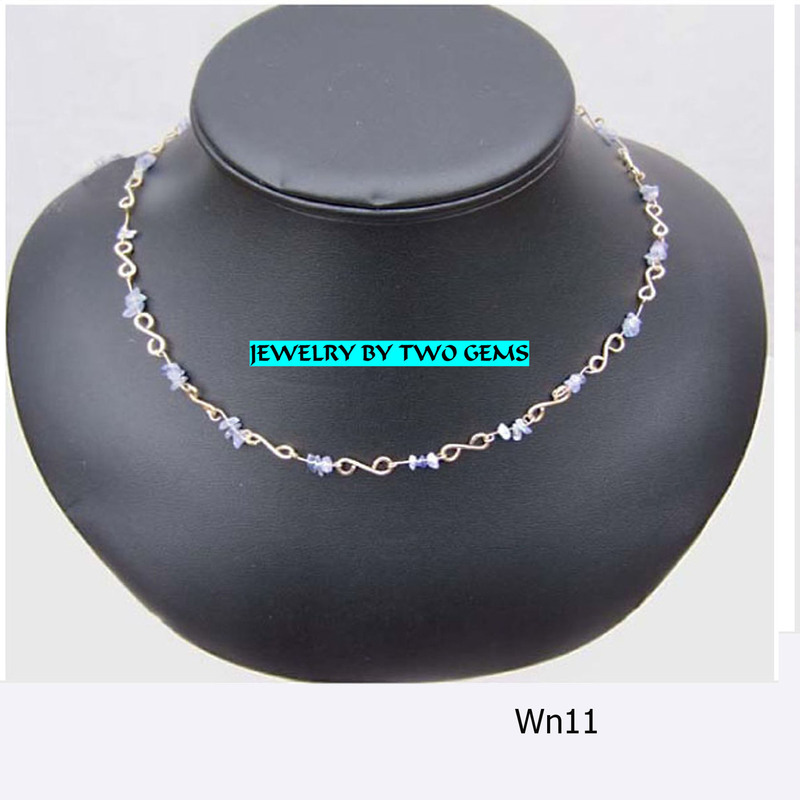 Wire Wrap with Tanzanite Nuggets 14 Kt. 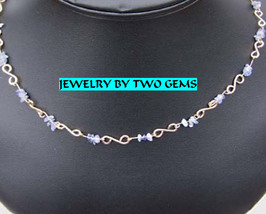 gold filled wire wrap necklace with Tanzanite nuggets intricately incorporated all around. 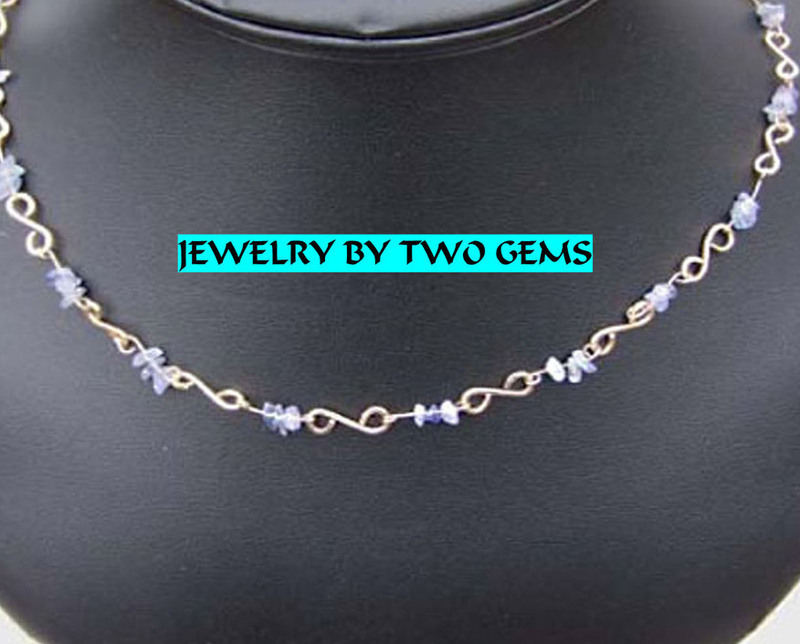 Tanzanite is quickly becoming extinct in the world market and this piece has a soft Tanzanite color. Typically given to new mothers as a gift or for December birthdays. The closure is a hand created shepard hook. 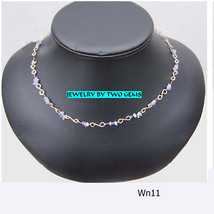 Measures 17" long.